I can’t believe its the first of the year. What can I say about 2013 before I like…officially let it go. Well, I was having some personal reflection time a couple days ago looking for the summation, in a sense, of what 2013 was all about in my life. 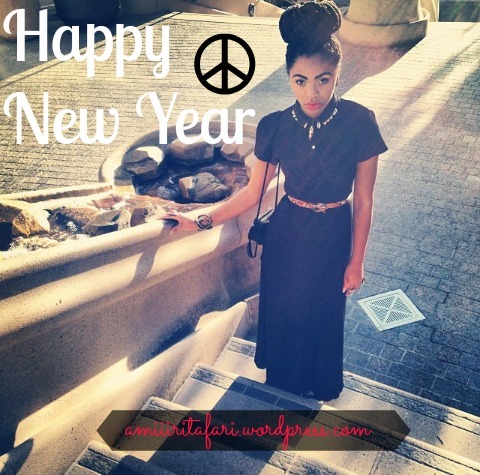 And my spirit came to the conclusion that 2013 was all about building and patience. It was a year of a lot of blessings, but a lot of testing as well. For instance, the beginning of 2013 started with my mom in the hospital in a fight for her life. By new years she had come out of her induced coma but her condition was still critical. She could barely speak, she couldn’t walk. Don’t wanna drone on and on about the negative though. Ultimately, by mid-to-late Jan she was out of the hospital and though she had to learn to walk and talk again, she fully regained her health by late Feb, early March. She is fine, strong, and healthy now. Praises be! I feel like it was a testing of the faith and patience of my family, to wait on Source to restore her. The entirety of the concept for Free Spiiirit came to be November 2012 and the line was slated to drop Jan 1st of 2013, but with all the things going on in my life with my mom and family and such, we chose to change that deadline. I’m super close to my Mom, man, she is my rock and I am hers. So the whole situation was pretty hard on me….moving on, February 13th the line was dropped and the site was opened to the public. From then we hit the ground running with promo and fashion shows and did our best to make Free Spiiirit as great as we could from the small city of Huntsville, TX (where our school is located). We laid the foundations of the business and made it our mission to grind, grind, grind to build it up from there. Building blocks, stepping stones. We planned SxSW as a business trip to get the brand name out past the boundaries of our school grounds. After SxSW in March, is when Triiin and I formulated the plan to move to California together in August. After networking with so many like-minded people during the festival, meeting Kendrick Lamar, and seeing how much we could build the business by simply being in the right place at the right time we knew Huntsville was too small a pond to remain in for much longer. At this time, began the building pressure of school and my growing disinterest with it, as well as a decline in monetary resources. By summer, the struggle had become all too real. I was taking school and working and hating every second of it and still only had enough money to survive. How were we ever supposed to save to move to Cali in these conditions? I didn’t know. To top it all off, the summer ended with an apartment fire days before move-out (–it was caused by a faulty dryer–) that destroyed some of our merchandise and made it twice as hard to pack and move out of the unit. It was August by now and the plans seemed to be foiled but we knew in our hearts Cali was still where we were supposed to be. “Patience, Patience” was the whisper…In good fashion, the Lord provided recourse and Triiin & I went to stay with my Mom in Houston. October. Hello L.A., city of Angels! It was such a blessing to make it here and so surreal to be here. Everything, from the drive to finding a good apartment in record time. The whole situation was in God’s hands and he worked everything out just perfectly…as one must learn to always trust Source to do. And L.A. is so beautiful! My goodness. Getting here just made it continuously clear that this is where we were supposed to be all along. The endless possibilities began to expose themselves to us. But don’t think its been all candy, cupcakes, and roses since we’ve been out here. We have had our share of struggles too since being here…mentally, physically, emotionally, financially, spiritually, etc. But when you become in tune with God…and self…and the God in oneself these outward things start to shake you less and less as you continually see Him see you through, dropping just what you need from the heavens like manna. Allhamdulilah! This is the work in progress that had been begun in me at the start of last year and I truly feel like I have passed the test and completed this step. Why? Because I feel like I have learned the lessons I was supposed to from 2013. The lesson of patience and knowing that things do not happen in your timing, but in God’s timing. And the plan is perfect. Energy takes care of it all. You just have to be patient, stay positive, and stay connected. Also, the lesson that there is a time for everything under the sun. A time for sickness and a time for health. A time for grief and a time for joy. A time of struggle and a time of prosperity. A time of building and a time of reaping the benefits of your labors. 2013 was the year of Building and Patience for me. And I whole-heartedly believe that 2014 is the time of Prosperity and Reward. Not just monetary richness (though, that too) but also richness in love, mind, body, spirit. I’m ready for it! How are you guys feeling about the new year? What was 2013 like for you? What do you expect from 2014? 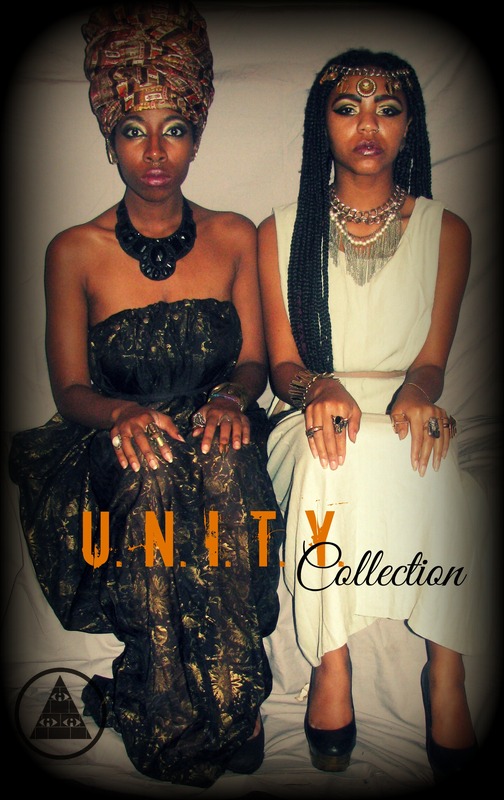 Today we dropped the U.N.I.T.Y Collection on FreeSpiiirit.com!!! The collection is centered around celebrating our oneness and our cultural differences as a global community, simultaneously. Check it out Check out Check it out! & use code : hello2014 for 10% off your entire order! & again, Happy New Year. Make the best of it 🙂 .